My 16-year old daughter is so busy throughout the year and frequently regrets how little free time she has to just hang with friends, and yet she BEGS for 4 weeks at Coppercreek — the only 4 weeks of the year where she isn’t obligated to other activities. It is really a testament to the wonderful program you run that teenagers are willing to give up driving, email, TV, the mall, sleeping in, and their oh-so-important social lives to hang out in the woods for a month. My daughter isn’t even a “woods” kind of kid. She was never fond of camping and “outside” is just something she has to walk through to get to the gym or the mall. 🙂 I am amazed at how much confidence the kids develop at Coppercreek. Each summer, she forces herself to try a couple of activities that frighten her and she is always so proud of having done them afterward. They’re the first things she talks about after the stories about all the new friends she made. While it’s a beautiful environment with wonderful activities, I really think it’s the Coppercreek staff that brings these kids, especially the teenagers, back year after year. Somehow, you know this age group through and through and you give them the impression of loving them anyway. Thanks for everything, As always, she is looking forward to next summer. The place that means the most to me, aside from home, is camp. I like being there because I feel much more independent and free. I feel capable of things I didn’t know I was capable of, and that no goal is too high to reach. 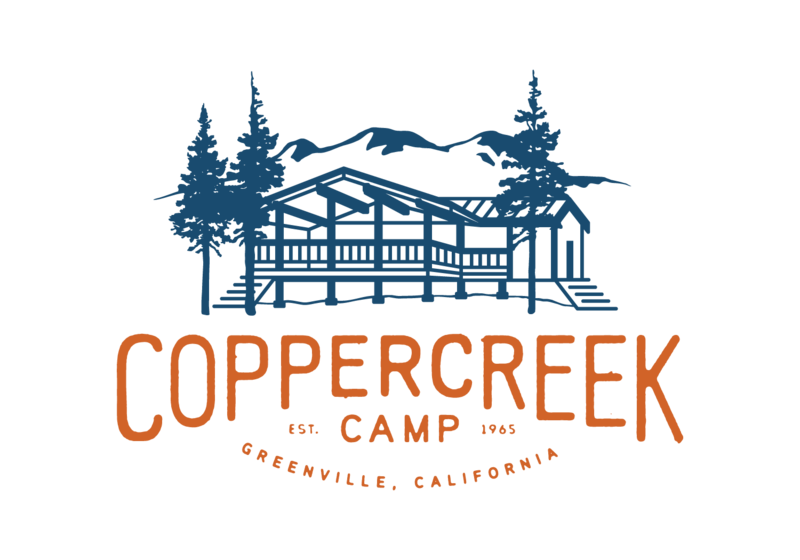 I am very grateful to all of you at Coppercreek for making Caitlin’s camp experience a positive, self-affirming, confidence building, positive outlook-on-life experience. I believe in the empowerment of communing with nature and this experience gives this to our daughter. Parents of Caitlin, age 16, 4th year camper. Zach loved camp. He came home with more confidence and a real appreciation for the outdoors. Mother of Zach, age 13, 1st year camper. Thank you so much for giving Natalie such an extraordinary camp experience. She adored her counselor, she made some great new friends and she stretched herself in lots of new ways. Mother of Natalie, age 13, 1st year camper. As parents, we are thrilled that Evan had so much fun and did so many great things. We are very appreciative of Coppercreek’s diverse activities. We want to especially thank your counselors. They are wonderful role models for a very impressionable teenager. He came back ready to sign up for next summer. What better feedback does a mom want? Mother of Evan, age 13, 1st year camper. When Alex came home from camp, she started doing some things very differently. She would do things the first time I asked her. When I commented on this, she said it was something that her counselors (Devin and Adrienne) taught her. They told her that it was just easier to do things the first time that you’re asked. THANK YOU DEVIN AND ADRIENNE! Our kids often hear a message better from someone besides their parents! Father of Alex, 15 year old TREKKER, 3rd year camper. When Kelly left for camp, she wasn’t going to do the ropes course. She was too fearful. After a big hug when I arrived, the first thing she showed me was the ropes course and she told me all that she had accomplished. Thank you to the Coppercreek staff who made her believe in herself. Parents of Kelly, age 13, 1st year camper. This was Kathryn’s first experience at sleep away camp. She grew physically and emotionally. She regained confidence and self esteem and made new friends easily. She loved the 24/7 outdoors, the animals and all the activities. Parents of Kathryn, age 10, 1st year camper. I like the quality of the counselors and the positive, nurturing attitude of the camp. It is perfect for Michelle. She is not into horses or extreme sports, but she enjoys the low key activities and the safe environment (physically and emotionally). Parents of Michelle, age 11, 2nd year camper. Thank you for giving our youth of today such a wonderful place to go with such caring, gifted counselors and staff. Parents of Steven, age 14, 2nd year camper. Corey had the time of his life at Coppercreek. Every letter home was upbeat and excited. We will look back on this as a definitive summer for the teen Corey will become. Parents of Corey, age 10, 1st year camper. I can’t think of anything I didn’t like about my counselors. I like how they were friends with us, and they were always smiling, and I learned a lot from them. Hilary, TREKKER, 5th year camper. The activities, the counselors and the food. The lake, climbing program, and the overall atmosphere. Coppercreek gets better every year! Nick, age 15, 4th year camper. All the activities. I did a kayak roll and got to sign the lodge kayak! Corey, age 13, 3rd year camper. My counselor was the best cabin counselor. Whenever I needed to talk to someone, I could go to her. She made me feel good about myself and the choices I made. I feel so comfortable around her. Kaylie, age 13, 3rd year camper.